In the land of gator on a stick, crawfish boils, and shrimp étouffée, “garden based” vegetarian restaurant Seed is a real find. I was recently in New Orleans for a diabetes educators conference and hunting down healthful food was high on my list of tourist activities. It was #2 actually. 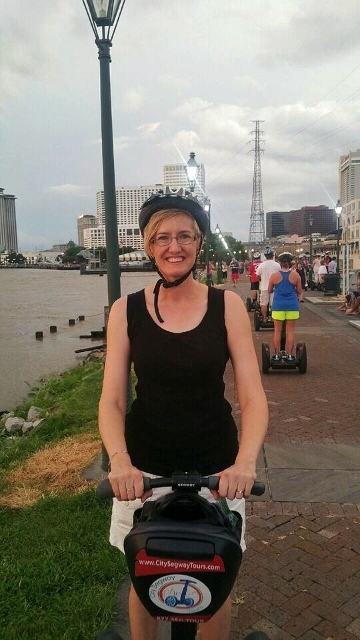 #1 was helmeting up like a nerd for a Segway tour around the French Quarter. Why yes, that is an olive tree out front. It’s entirely possible that I’m wrong, because I am often wrong, but I don’t think healthy food is a priority for many NOLA visitors, including the other diabetes educators. It’s always seemed strange to me that healthcare providers attend these conferences, sit in session after session reviewing the latest research on disease-changing diets, and then munch down on bacon burgers, fries, and soda when lunchtime rolls around. I simply can’t separate the two in my head. Food choice is related to disease for all of us, every day, with every meal. Now I know vacations and traveling makes us throw caution to the wind. And I did. Several times. Once at Cafe Du Monde to sample the famous beignets. Again when the husband bought me a traditional NOLA treat: a buttery, sugary praline. And again when I succumbed to the draw of shave ice after sweating my way through the French Market one afternoon in the 95 degree heat. But nearly every meal I chose was full of legumes, vegetables, fruit, nuts, seeds, olive oil, and grains…foods I’m sure I don’t need to tell you have been linked with disease prevention. And we did put in some effort to find healthy eats before we eventually ended up at Seed. After walking 2 1/2 miles in the oppressive heat to the highly recommended Satsuma Cafe, we were greeted by a note on the door stating they were closed for the week. A girl without a food blog might have given up at this point and just eaten at Subway. But still hungry and kind of grumpy, we taxied it back to the hotel, met perhaps the greatest cab driver ever (Abdi from Somalia), then headed out a second time to Seed. Jeff said it was definitely worth the wait. Finding Seed made me giddy. I was so impressed with them after this first visit, I went back two more times. And not once did I feel like I was settling or sacrificing flavor for healthfulness. Here is a photographic tour of my new happy place. The creole cashew cheese was fantastic, unique, spicy, and a wonderful alternative to hummus. However, their hummus was speckled with spices and also really great. 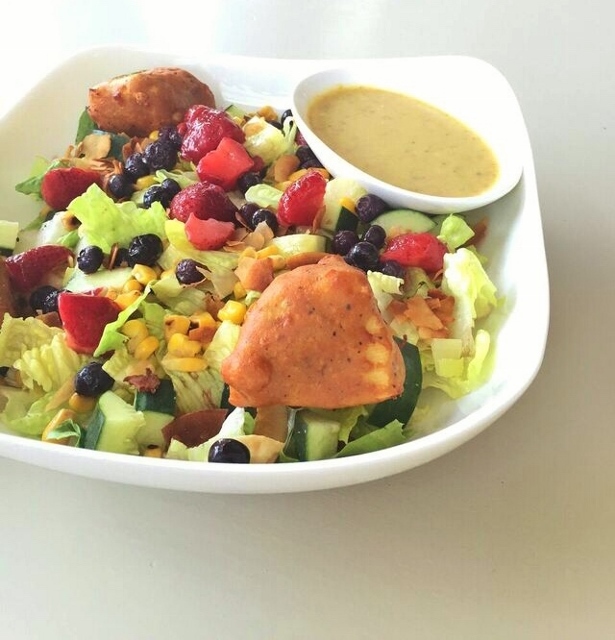 The ranch wasn’t a perfect match with the lavash, but it would be fab on a salad. Jeff’s po’boy was gargantuan. 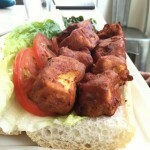 It was rather a simple preparation – just bread, lettuce, tomato, and vegan mayo – but the tofu breaded with chickpea flour was spectacular. I stole some and it really elevated my pad thai. I have a hunch that it’s super firm tofu, which I so appreciate. His sandwich came with a side kale salad. All I can say is spicy! 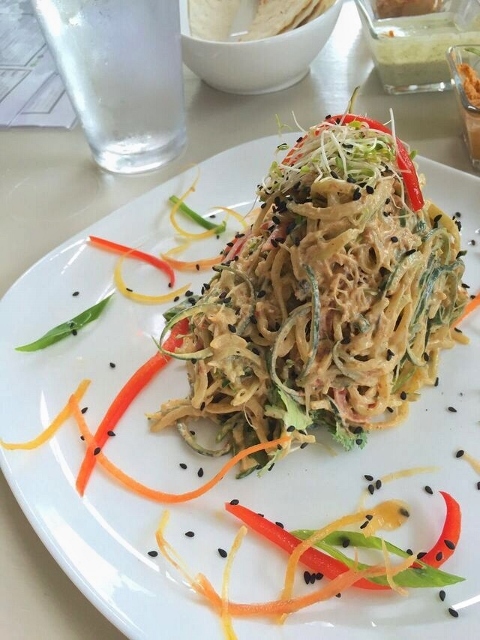 This raw dish was made with cucumber and carrot “noodles”, mung bean sprouts, jicama, peanuts, cilantro, and greens all tossed in Thai lime peanut dressing. Despite the beautiful presentation, overall I felt the flavor was flat. The dressing was creamy but needed more depth. Maybe umami or vinegar? Spice was the predominant taste, at least for me, and I wanted richer layered flavor underneath. Sooooooo, I stole tofu from the husband and that did the trick. Wow. This dessert was so unexpected. I don’t know what I thought I’d see after I ordered a raw cupcake, but I was a little deflated once our server set this dish down. 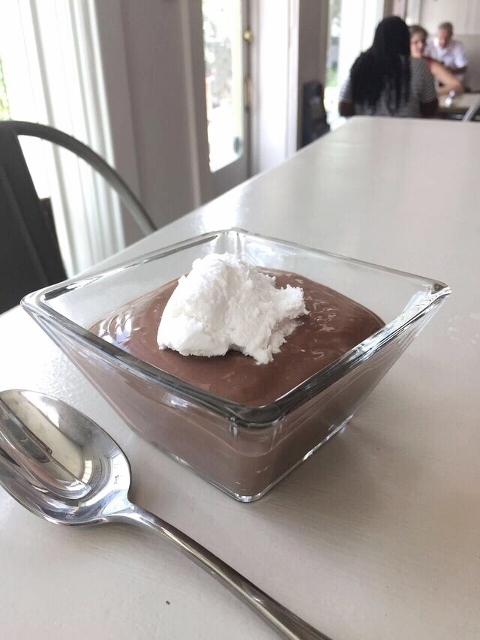 I’m not a pudding fan, mostly because I don’t like big bowls of mush, so I didn’t have high hopes. But boy was I wrong. It may have been my favorite item on the entire menu, after the chickpea-battered tofu. It’s a blend of walnuts, dates, carrots, and spices, served pleasantly chilled and topped with cashew sauce cream. It was very reminiscent of pumpkin pie, but way better. I don’t see how anyone could eat this for dessert and feel like they were being short-changed. The back of the menu (which I can’t find on their website) lists an incredible array of fixings to build your own salad. So I did just that: romaine lettuce, coconut chips, cucumber, roasted corn, strawberries, blueberries, and southern fried tofu. The miso maple dressing was just divine: tangy, but neither the miso nor the maple came on too strong. The salad was cold but the tofu was warm and it was a heavenly combination. The highlight? They brought the dressing on the side and I didn’t have to ask for it that way! 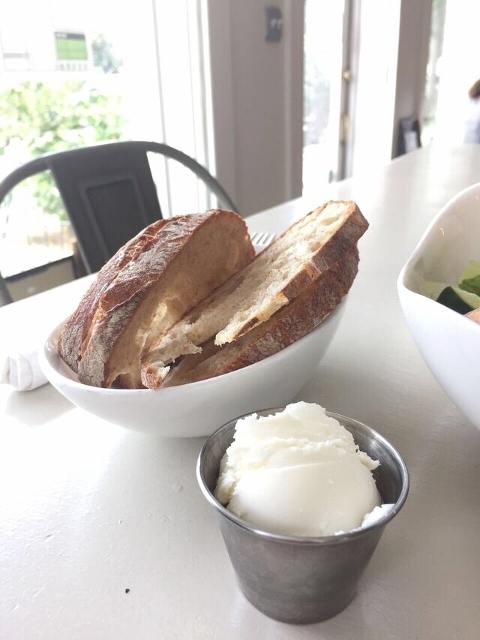 To round out the meal I ordered a side of bread with vegan butter. Good lordy. I was eating lunch by myself this time and I still raved about this dessert. Out loud. All I could find out from my server about the ingredients was that it was soy-based and served with coconut whipped cream. I couldn’t tell if the silky stuff was made with milk chocolate or dark chocolate, and I’m curious about the sweetener. There was also some kind of salty element that seemed to enhance the chocolate. Ideally, I would have liked it super icebox cold but it was somewhere between room temperature and cold. This did not deter me. It wasn’t thick like a mousse but more pudding-ish. Did I mention I don’t even like pudding! I only ate about half of it because the extreme richness eventually made me put the spoon down. What a cool idea for a wrap! Since I’m not a fan of mayonnaisey things, I asked them to sub hummus for garlic aoli. Then, with my side of grilled tofu I was looking at protein + more protein. This is one I’m definitely going to try recreating at home. 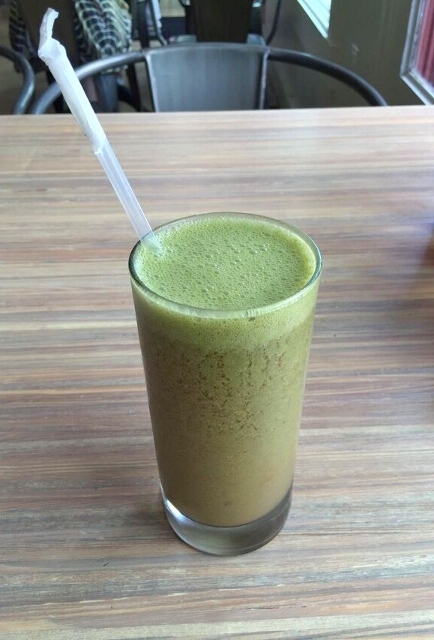 Instead of sampling another dessert on this visit, I opted to spend my calories on a smoothie. I don’t recall the exact ingredients and it did not taste like a creamsicle as the name implies, but it was still a refreshing accompaniment to my wrap platter. 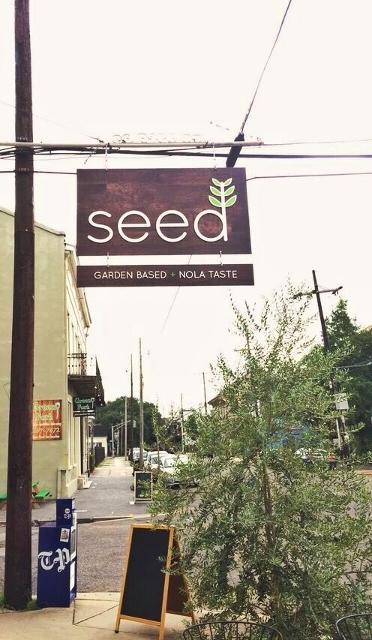 Seed is just over a year old and located in the Lower Garden District. 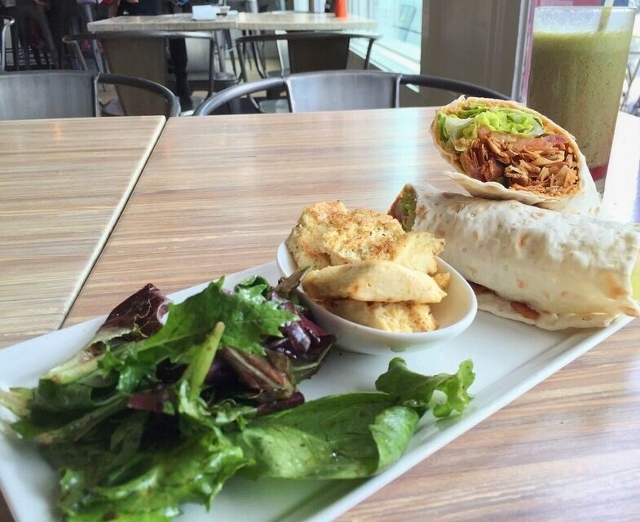 Their adorable menu has raw, gluten-free, or soy-free items clearly coded, and almost everything is organic. The decor is bright and cheerful…which worked out well as I was trying to take adequately lit food photos…and I had super friendly customer service on every visit. (I’m talking about you Daniel and Lisa.) But all this restaurant perfection comes at a price. My lunches, with iced tea and dessert, averaged $26. Shee eesh. I think that’s a little steep, but also understandable considering the piles of nutritious food you’re getting. And it’s in keeping with many of the other popular dining spots in NOLA. What about you? 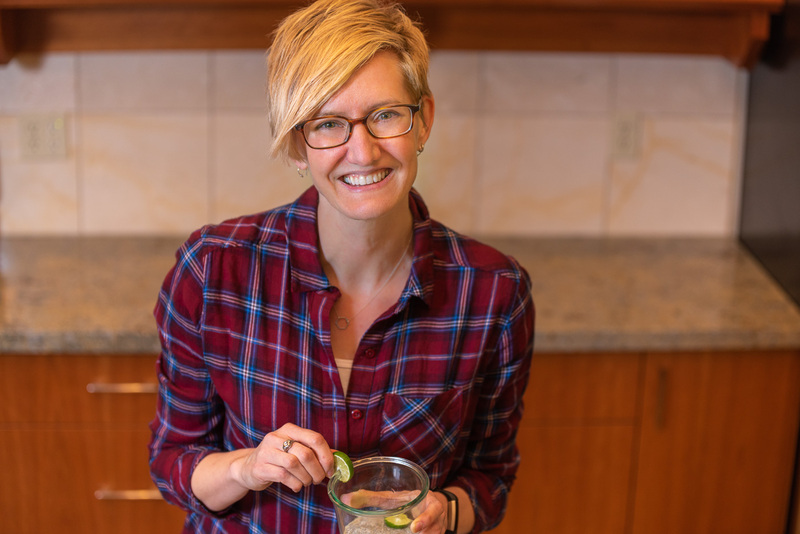 Do you use travel to see how local chefs are making healthy food beautiful and delicious, or do you say “the heck with it” and simply indulge? 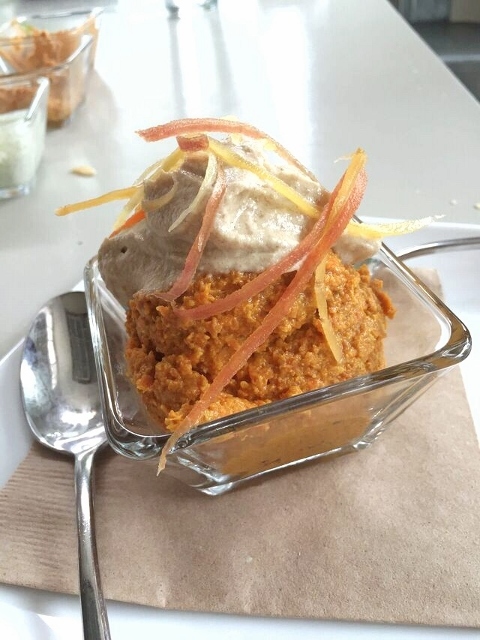 If you find yourself in The Big Easy, in need of some nutritious fare, when I wasn’t dining at Seed I was very happy with the plant-based offerings at Three Muses, Mona’s Cafe, and 3 Potato 4. 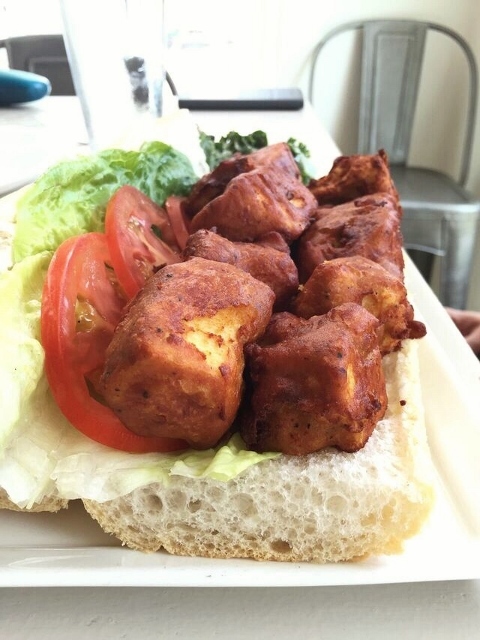 And for even more suggestions, check out the New Orleans in Green blog, including her printable 2014 Vegan-Friendly Restaurant Guide. I like to indulge – which is really code for trying regional or local specialties – or loading up on dishes I can’t either make (for lack of access to ingredients) or can’t get at home. Hi Alice. I agree. 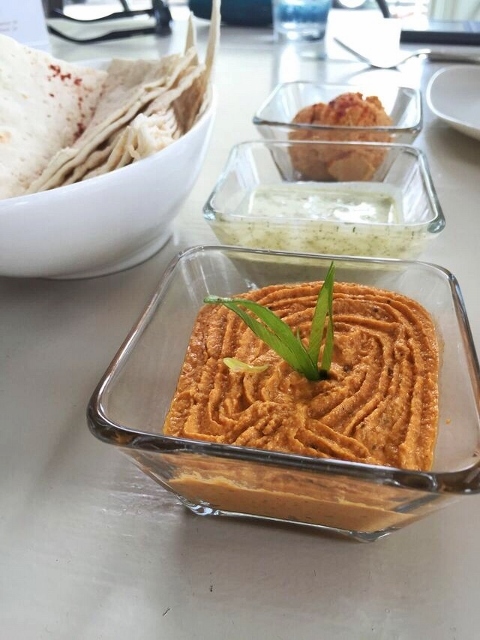 Trying local specialties is half the fun of traveling, especially for those of us who like food so darn much. So nice to hear from you! I follow a similar approach to you, I try to keep my meals healthy (if I don’t get my daily 5 servings of fruits and veggies I feel pretty bleh), but I do indulge in local sweets–a piece of Junior’s cheesecake in NYC, pastries in Copenhagen, etc. The beignets and praline you tried in New Orleans sound great. I’ll definitely have to add New Orleans to my culinary travel list! I know this is an old post, but wanted to let you know I made it to New Orleans and had dinner at Seed thanks to your recommendation! I went with the pad Thai and Samoa cheesecake (like the Girl Scout cookie). So delicious and a great way to get some vegetables into my vacation meals. Miss Stacy! Your comment made me so happy. I still have a hard time believing anyone reads the blog, and to think you remembered the post and ate at Seed because of it is just lovely. Thank you for taking the time to let me know. You must have been in New Orleans for IFBC? How was the conference? I’m definitely out here reading! I was in New Orleans for IFBC–the keynote by Michael Twitty was amazing and it was neat to try out some very interesting foods from local producers and restaurants. And it was a great excuse to visit New Orleans!